James works in our Property Auction department in Barnsdales/Regional Property Auctioneers focusing on all aspects of property auction sales, form large country homes to town centre investments, HMOs as well as residential development land and commercial property (guided by our commercial agency team). James has been instrumental in developing and growing our auction business in conjunction with Regional Property Auctioneers; this business has quadrupled since 2015. He joined Barnsdales in 2011 after several successful years working in North Nottinghamashire with One Call Estates where he was Manager & Valuer of both the Worksop and Sutton In Ashfield offices. Prior to One Call Estates James started his career in the property industry with Haybrook Estate Agents, South Yorkshires largest independent Estate Agent and now part of the Spicerhaart Group, where he was a key member of the New Homes team handling the sale of new homes, off plan sales and development land. 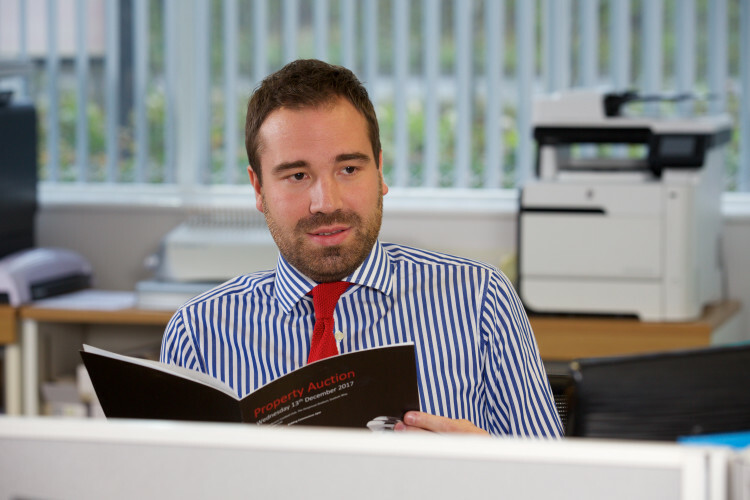 With over 10 years of experience within the residential property sector, James has established strong market contacts both locally and nationally and has a sound knowledge of the residential property market. James lives in Sheffield and outside of work he enjoys a variety of sports, the theatre and spending time catching up with friends. James is undertaking his studies to become Assoc RICS which he aims to complete in the next 12 months.